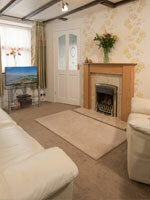 Welcome to our lovely self-catering holiday cottage accommodation in Wolsingham, Weardale in County Durham. 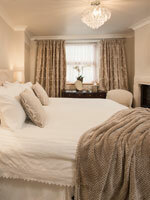 Corner Cottage is a charming Four Star Gold self catering one bedroom cottage sleeping two guests. Furnished to an exceptionally high standard the cottage is located in the picturesque village of Wolsingham, Weardale, in the Durham Dales, an area of outstanding natural beauty. Ideally located for Durham City, a World Heritage Site, the Northern Dales and Northumberland.